Every inch of space counts on the show floor. 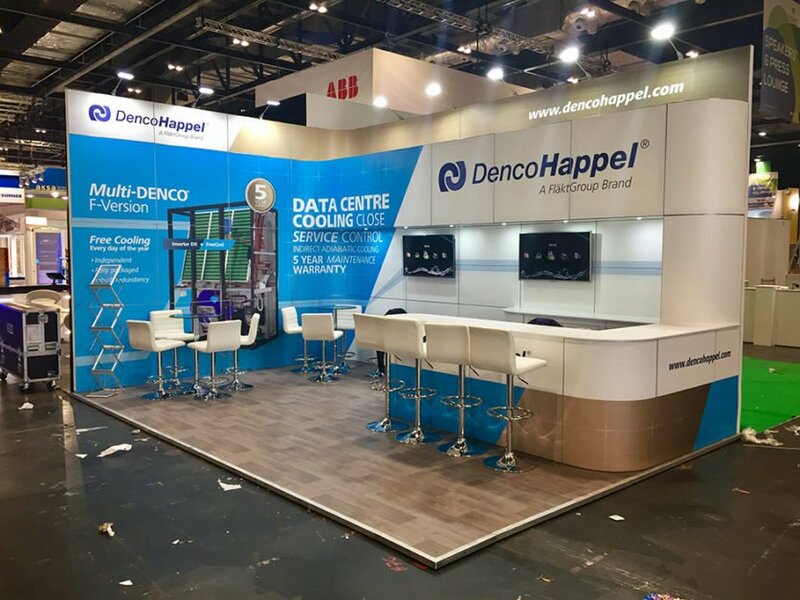 No matter how big or small, the area you have to exhibit is the area you have to make an impact and make your business shine – so why not make it shine a little brighter? Promoting and marketing your business can be difficult, time-consuming and complicated, and exhibiting at a show is no exception. You have to stand out and make an impact in a sea of similar companies all competing to get noticed. Great quality stands are known for their design and looks, and their ability to create interaction and engagement amongst clients, businesses and professionals. They act as your one-stop destination to engage with your client basis, informing them of your business and help to either develop relationships or build new ones. Therefore, it’s very important to get this process right if you want to make the most out of your next event. Say, for example, you have a small area in which to exhibit and you’re not sure how to best transform it into a place that will be warm and welcoming for all visitors. There are a number of options you could go for, but the most traditional are the shell scheme option. This gives you a space with some walls, carpet, lighting and a board with your company name on it. Pretty simple, right? It’s essentially a blank canvas for you to do what you so wish, but you’ll have to purchase or hire items like furniture, AV equipment, display units or other various graphics. This option is great for many, and works for them and their business. However, though it may be a blank canvas, it is a blank, grey and generic canvas that a great number of others will also have, so why not try and make your stand shine amongst the crowds? …and more, all to make sure you’ll get seen amongst the competition. 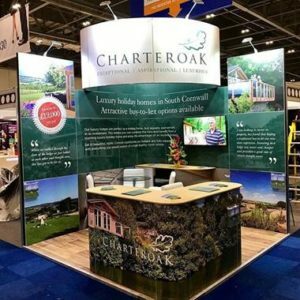 But, it isn’t just about standing out, as we like to pride ourselves on working with you to create a stand that is inviting and engaging for your customers and promote an interactive atmosphere so you can get the most out of your events. Here we have a 3x3m modular exhibition stand open on two sides. It’s engaging, informative and every inch of the stand represents that business and brand. The design offers a professional look that combined with the openness of the stand, creates a warm and inviting atmosphere for any customer or client walking by. 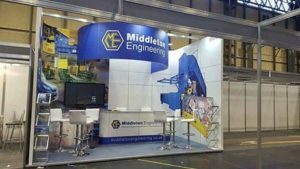 Choosing MODEX means that the opportunities to be creative with your exhibiting space are endless, and utilising that space to its full potential is guaranteed. Your stand can be as interactive or engaging as you like with a number of choices of AV equipment from 60” TV screens, to multiple iPad stands. Whether it’s one-to-one engagement and meetings you’re after, or sign-ups and merchandise giveaways, we will work with you to create and deliver a stand that specifically focuses on your specifications. Make the change from traditional shell scheme, and let us help you shine brighter at your next event. Get your fixed price quote now and order your stand, or contact [email protected] for more information.